Bintang Super Market is a huge super market with has star mark located on Jalan Raya Seminyak. 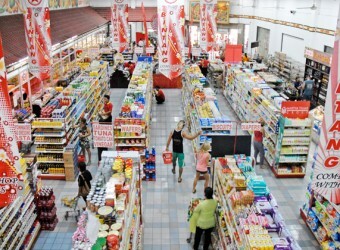 The super market sells daily needs, food, drugs, beverages, stationery, household groceries, etc. I wanted to go to this supermarket from some time ago and I went there. I though it is not different with ordinary supermarkets.LOL I think I like Nirmala Supermarket better.